This piece is based on a couple of book covers and movie posters by Robert McGinnis, my favorite artist. And it's inspired by my love of B-grade shark movies. 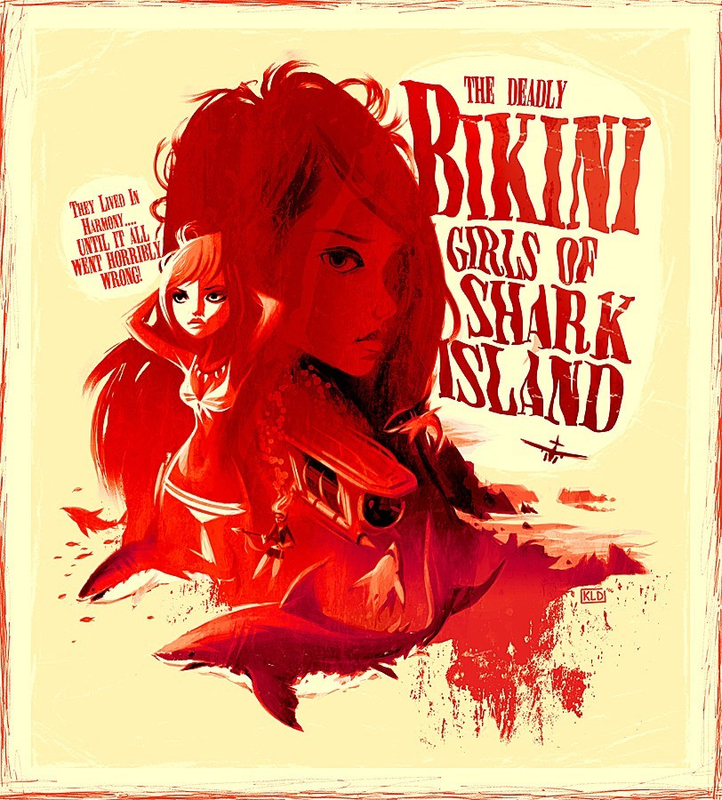 Killer babes, killer sharks, and killer underwater fight sequences!